Valentine's day is around the corner so everybody's searching for awesome Valentine's day ideas for him. Well, at least those who's gonna spend it with someone. I'm going to spend it alone, watching movies, and drinking wine. Don't pity me, that's how I like it. For the rest of you I have a list of some of the best gifts that will make your man happy on the special day. You don't have to spend a lot of money to make your guy smile. There is something for everyone, from awesome valentines ideas gifts under $25 to gifts for him over $100. 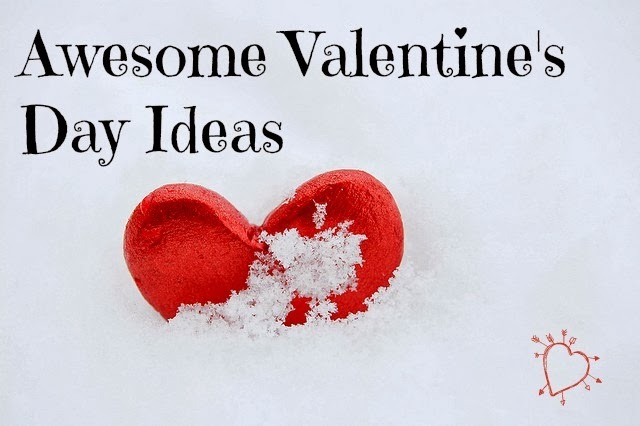 Many of you probably don't want to spend a lot of money for gifts so I made a list with cheap Valentine's day ideas. Make him feel special, give him something sentimental, something from the heart. It's about showing your love to someone, not about how much you are ready to spend for him. I have a friend who spends a lot of money for all kind of gifts for her boyfriend and he doesn't even appreciate them. I like it so much! Give him the key and keep the wristband for you. These bracelets are just great. My sister got them for her boyfriend. They look very nice and fancy so I can't miss them on my list. There are different variations but I liked these two most. Express your love with words. You can make your own cards or if you don't have enough time you can get him some of these printable poems. Why not give him a cute pillow case. In this way every time that he goes to sleep he can get a little reminder that you love him . BoldLoft "Say I Love You"
BoldLoft "From My Heart to Yours"
If you are willing to spend more than $100 for Valentine's day gifts, I have some awesome ideas for you. These are such great ideas! I love creative gifts!